Is Being a Hairstylist a Low-Stress Job? The author, editor in chief Alison Alhamed, back when she was in beauty school. 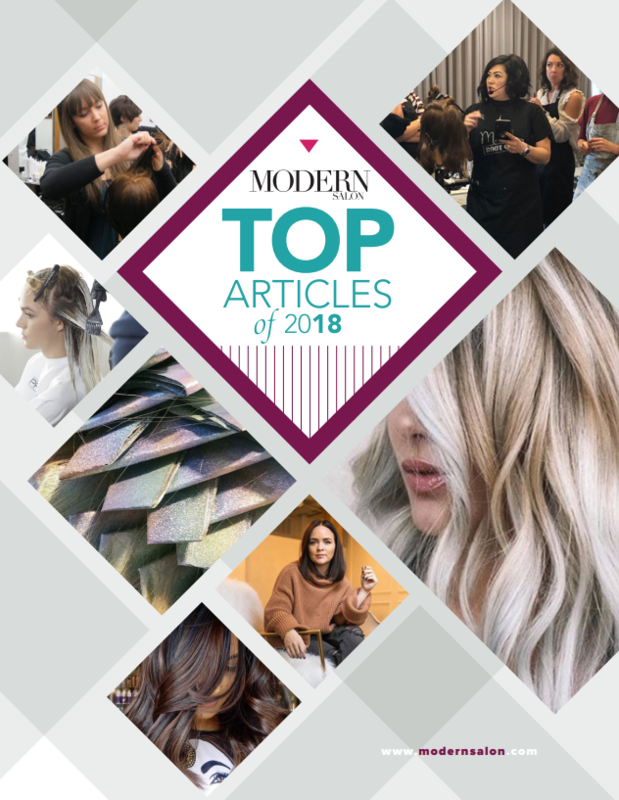 Depending on your clientele, salon culture and overall job satisfaction, adjectives used to describe your job as a hairstylist typically fall into the positive category—after all, you’re surrounded by mostly passionate, creative people, right? But would you agree that being a hairstylist is one of the least stressful jobs out there? Well, according to results of a recent study of jobs and their respective stress levels conducted by CareerCast, a website and database of job listings and opportunities, number-two on the list of least stressful jobs of 2018 is hairstylist. Now, there are several ways this conversation you’re having in your own brain can go. You’re either running through your day’s events (all the missed meals, missed bathroom breaks, color corrections, that one client who simply won’t stop cutting her own fringe or using box color), or you’re thinking of all the ways you’re professionally and personally fulfilled by the creative and emotionally fulfilling aspects you get to explore on the salon floor. Before you bust out the picket signs, let’s review how the results of the stress report were determined. This was one of our top articles of 2018. Find out what else made the list. Eleven factors were taken into consideration: travel, career growth potential, physical demands, environmental conditions, hazards encountered, meeting the public, competition, risk of death or grievous injury, immediate risk of another's life, deadlines and working in the public eye. CareerCast explains that while some of the least stressful jobs of 2018 (which includes audiologist, university professor and medical records technician) according to these core criteria obviously still face stressors, the nature of these jobs differs from others tracked by the Jobs Rated reports in fundamental ways. According to the website’s findings, Diagnostic Medical Sonographers rank number-one among the least stressful jobs of 2018. Sonographers don’t work in the public eye, face imminent risk of bodily harm to oneself or one's patient, and will not typically deal with high travel or workplace hazards. However, the website says, their day may include the task of cancer screenings, not just ultrasound in pregnancy. Hairstylists, which ranks in at number-two, are beholden to the demands of clientele. However, the site says, the main stress criteria that can be universally applied to all careers are lower stress than in comparison to jobs that ranked in the site’s 10 most stressful of 2018. In contrast, the Most Stressful Jobs of 2018 lists Enlisted Military Personnel as the number-one most stressful, followed by firefighter, airline pilots and police officers. For full transparency, the site also says that the median salary of hairstylists is $24,300 [NOTE: Unfortunately, because so much of a stylist’s income comes from cash gratuity, we don’t know how accurate that median is, but our gut says nottttt so much]. What Is Your Brand And Why Should You Care?